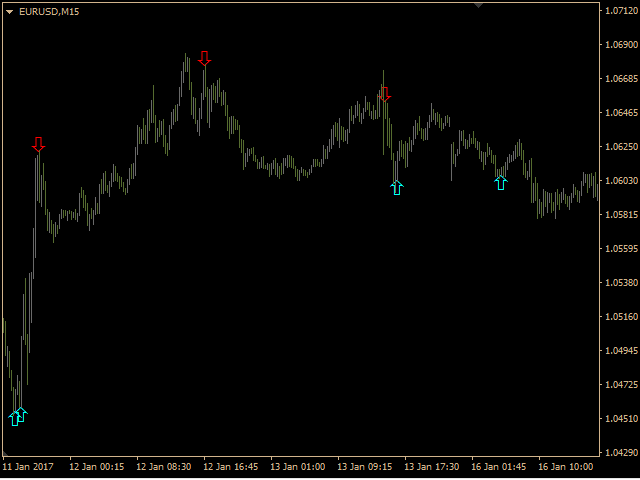 The indicator generates entry signals on any timeframe and any currency pair. 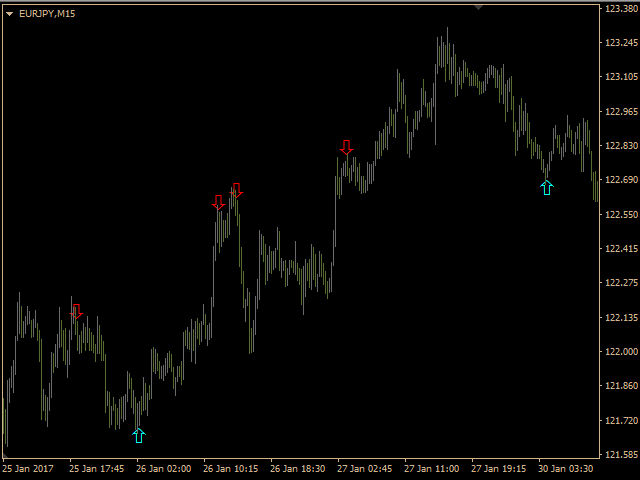 The signals may appear on the current bar, but are finalized only on complete bars, so that the signals do not disappear or shift by history data. 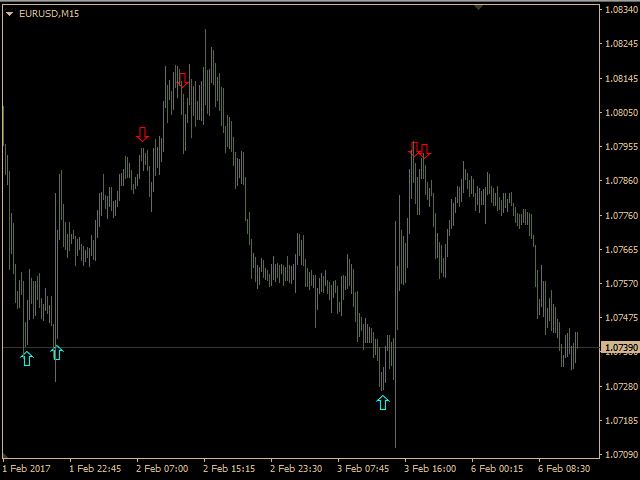 The audio and visual notifications also work only on the finalized arrows on complete bars. 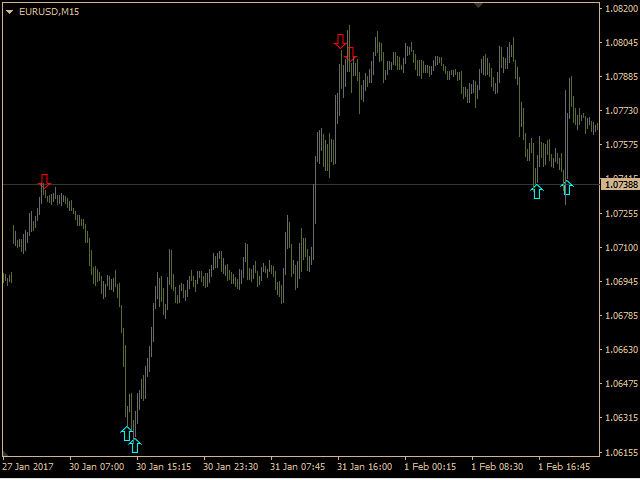 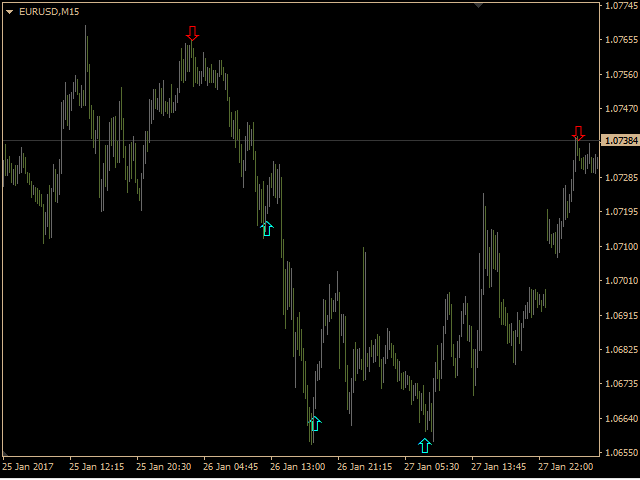 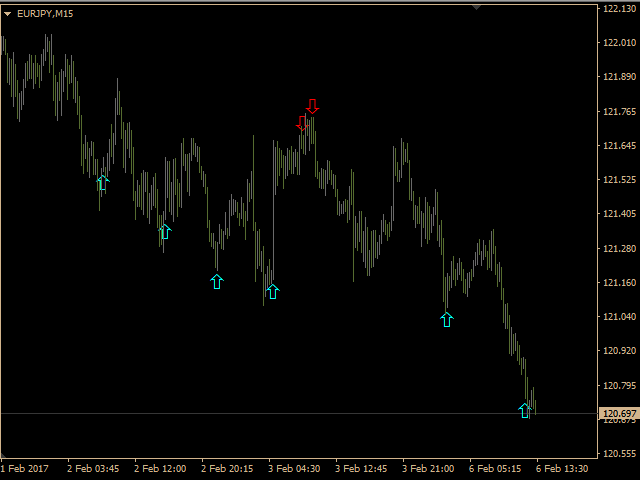 The default parameters of the indicator are configured for the M15 timeframe. 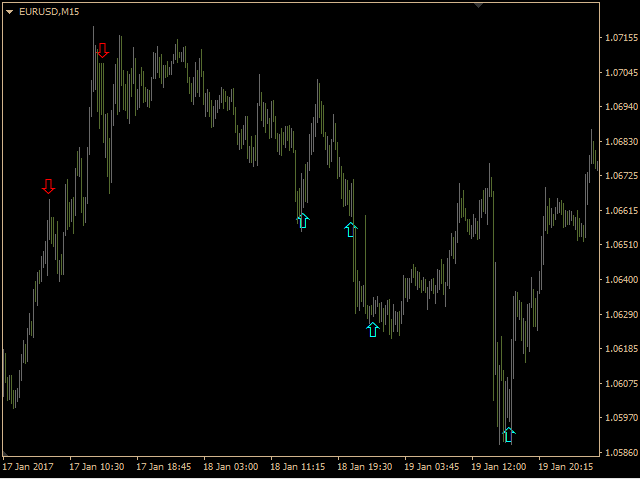 For other charts, the parameters should be configured according to the preferences and trading style of the trader.